Are you still getting vendors that only supply AutoCAD files for their families? Or did you find that one off vendor that is creating their components in Inventor? Or better yet you want to manipulate the out of the box families to fit your needs? 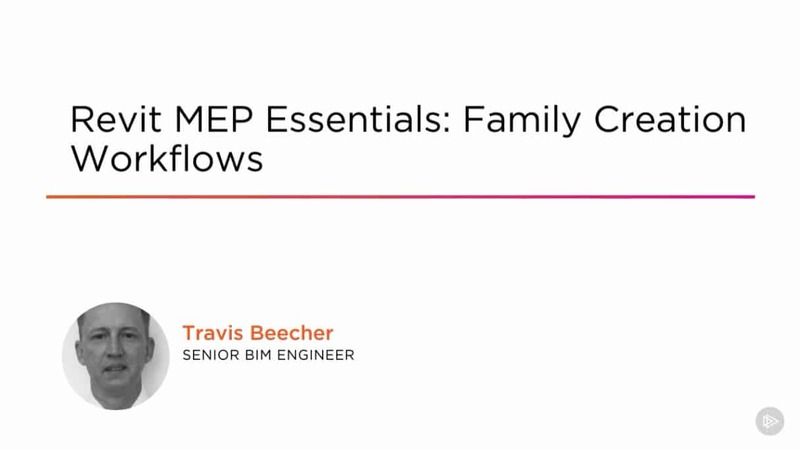 Well in this course, Revit MEP Essentials: Family Creation Workflows, you’ll learn how to create native Revit families using the MEP connectors. First, you’ll take that 2D AutoCAD drawing and convert that to a Revit family. Next, you’ll take the Inventor file through the BIM exchange so you can use those files and save them as a RFA file. Finally, you’ll also learn how to export the family types into a catalog to keep the file size down. By the end of this course, you’ll have a great grasp of how to navigate and create your own content for your projects. Required Software: Revit 2016, AutoCAD 2016.